This is a common problem. You may find that water in your bathroom is always cold despite all the pipes being intact. This may be caused by disconnects in power supply like in the switch, wiring or leaking gas pipes. First off, you need to establish the problem before looking for a solution. In most cases, repairs call for replacement of some parts. 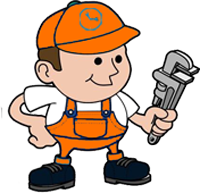 Though a plumber Melbourne is needed, an electrician will also come handy. This is when the tap only gives you cold or tepid water. In most cases, the problem is minor. If you use gas, the problem could be the pilot light. The solution to this is relighting the pilot light. The thermostat may be faulty. Repairs for a faulty thermostat will depend on the level of damage. Troubleshoot the problem with the thermostat and either replace or repair the thermostat. Inadequate heat may also result from a faulty heating element which does not dissipate enough energy. If the problem goes beyond your capability, it is important to call a plumber. Sometimes there are noises from the tank or the pipes that causes concern. The sounds could be rattling, whistling or banging. The problem is mostly caused by excess sediments. If there is excess sediment, the solution is removing the sediments from the tank or the pipes. If the sediment is excess in pipes, you may consider replacing the pipes. However, sometimes the noise stem from a defective heating element which dissipates heat with a sound. This should be replaced. Leaks are common. Though they can be hard to spot, you will note rising water bills and a musty smell around the tank or pipes. This is a problem that should be dealt with as quickly as possible. The solution can be as simple as sealing the leak or as extensive as doing replacements. If the hot water system has a lot of rust, the solution should be replacement. Though you can rectify some of the issues, sometimes you will need the help of a qualified plumber.